I don’t know the actual source of this image, just something I found one of my friends had shared on facebook. 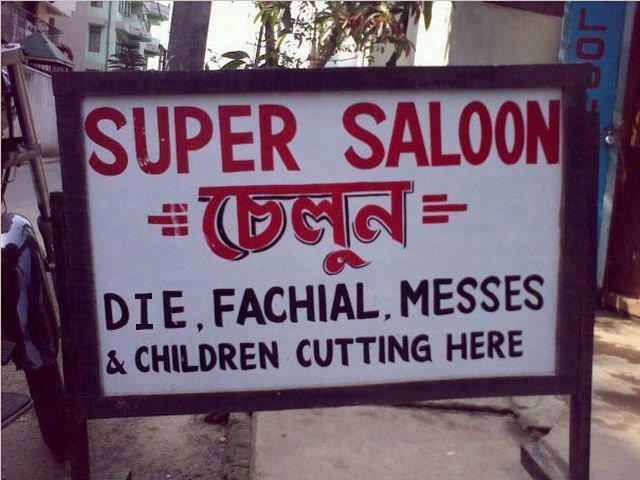 This is the sign board for a very dangerous saloon. Especially because it does children cutting.